Goldman Sachs (NYSE:GS) believes what goes down must come up. At least that’s the case for its 2019 list of 13 stocks to buy that it believes have the most potential upside in the year ahead. To make Goldman’s list, a company should have solid earnings, be undervalued based on those earnings and be ready to take off. The average loss in 2018 of the 13 stocks was 38.4% with only one company — Netflix (NASDAQ:NFLX) — delivering a positive return. Consider this Goldman’s version of the Dogs of the Dow. I liked the list of 13 stocks so much, I’ve decided to create my own list of stocks to buy that are ready to take off. To make my list, a company must have a market cap of $2 billion or more, an operating margin of 20% or higher, little or no debt, and a forward P/E less than 20. Oh, and if possible, it should be in the S&P 500. BlackRock (NYSE:BLK), the world’s largest asset manager, didn’t have a great year in 2018, generating a total return of -21.2%, almost five times worse than the S&P 500. Asset managers as a group didn’t do well in 2018, so if you own BLK shares, I wouldn’t get too concerned because it’s got an incredibly diverse set of revenue streams that include iShares, the world’s biggest ETF provider. iShares accounted for 38% of the company’s $10.9 billion in base fees in 2017 with retail providing another 31% and institutional investors the remainder. Interestingly, the Americas represents 65% of its revenue, with the Asia/Pacific region accounting for just 7% of almost $11 billion in fees. Given the growth of China and other markets in the APAC region, one can’t help but with this disparity as a real opportunity for the company. 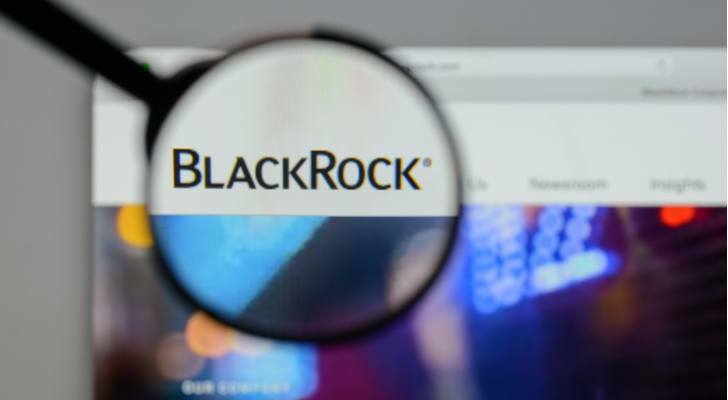 Generating $3.7 billion in free cash flow over the trailing 12 months, BlackRock is trading at 16.9 times cash flow, well below its five-year average of 23.1. On top of all the financial numbers, you’ve Larry Fink as CEO, one of the most candid chief executives in finance. I like its chances in 2019. 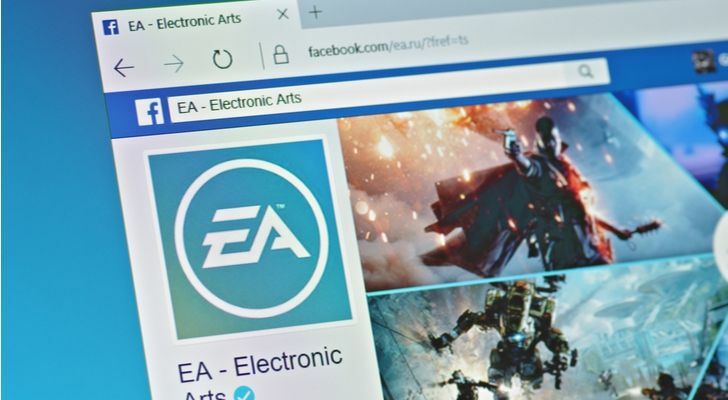 Like BlackRock, Electronic Arts (NASDAQ:EA) didn’t have a great year in 2018, generating a total return of -24.9%. However, like BlackRock, its industry didn’t have a great year, either, so a bounce-back year could still be in the cards. One troubling aspect of the video game industry for Electronic Arts in 2018 was the phenomenal success of “Fortnite,” which allows users to download the game for free on your iPhone, Android phone and even game consoles such as Xbox and PlayStation. Free games are definitely not helping EA’s stock price. However, in the case of Electronic Arts and the rest of the industry, it appears that investors have gotten ahead of themselves when it comes to the deterioration of the gaming industry. The risk/reward ratio seems tilted in investors’ favor at the moment, with the bad news seemingly more than baked into EA stock. I like its upside in 2019. If there’s a stock that everyone’s got an opinion on, I would guess Facebook (NASDAQ:FB) is at the top of the list. Mark Zuckerberg and company had a terrible year in 2018 from a PR perspective. The entire privacy issue putting a real damper on FB stock, which delivered a total return of -25.7% this past year. That’s the company’s first calendar year with a negative total return since its IPO in 2012. Not to worry. If you bought shares in Facebook’s IPO and are still holding, you’re up 332%, almost four times better than the S&P 500. Some experts feel Facebook is in for more pain in the year ahead. JPMorgan (NYSE:JPM) isn’t one of them. 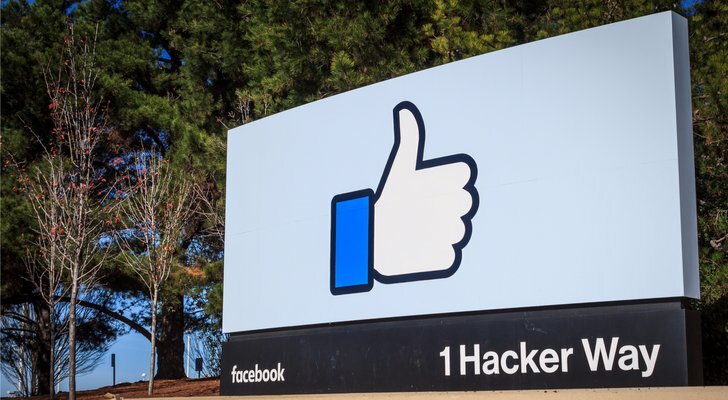 It has made FB one of its top stock picks for 2019. By far my favorite American bank stock, SVB Financial (NASDAQ:SIVB), took a step back in 2018, generating a total return of -19% — its first year in negative territory since 2011. Of course, 2018 wasn’t a good year for most banks, large or small. Warren Buffett’s biggest bank holding, Wells Fargo (NYSE:WFC), lost even more, down an additional 258 basis points. Given all the problems Wells Fargo faced in 2018, a similar performance for SIVB seems like a big slight, since I consider it the better of the two California-based banks. 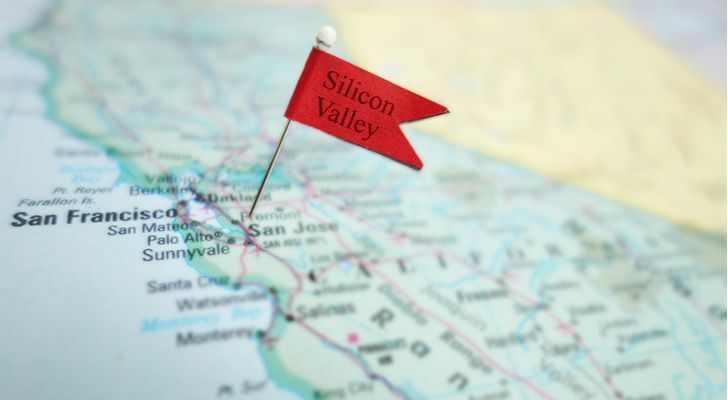 While some analysts have lowered expectations for SIVB stock in recent weeks by cutting 12-month target prices, earnings estimates for 2019 over the past three months have improved by a dime to $20.58 a share. At the end of December, I suggested that SIVB’s net interest margin of 3.6% in 2018, significantly higher than Bank of America (NYSE:BAC), was a big reason to like it. If there’s a bank stock to rebound in 2019, my bet’s on SVB Financial. 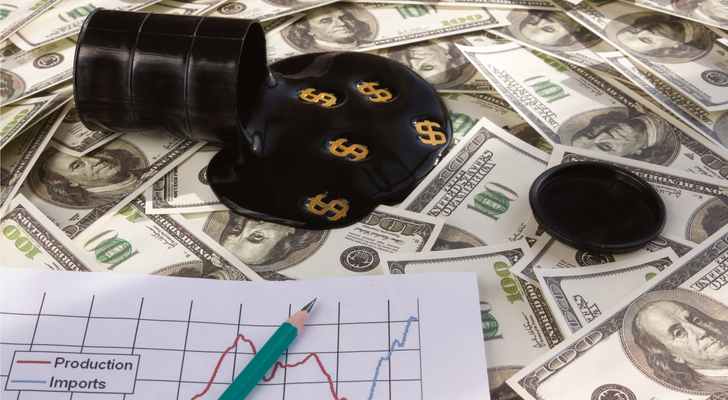 I’m loath to pick any oil-related stocks for this article, but it appears independent oil and gas company Cimarex Energy (NYSE:XEC) might make for a good exception. Losing almost half its value on a total-return basis in 2018, Cimarex is trading at 4.4 times cash flow and 10.2 times its forward earnings. What’s to like about Cimarex besides its valuation? In November, the Denver-based company announced it would acquire Resolute Energy (NYSE:REN) for $1.6 billion including the assumption of $710 million in debt. Cimarex will pay for 60% of the acquisition cost ($900 million plus the debt) with stock and cash for the remainder. Through the first nine months of fiscal 2018, Cimarex had $476 million in revenue, 49% higher than in the same period a year earlier. On the bottom line, its adjusted earnings per share were $5.39, 69% higher than a year earlier. If you’re looking for a mid-cap oil and gas stock to buy in 2019, Cimarex ought to be at the top of your list. 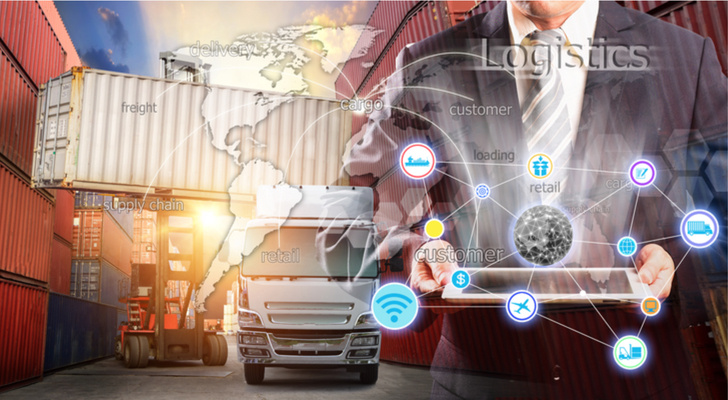 InterDigital (NASDAQ:IDCC) is the first of two companies not in the S&P 500 that I’ve included in my list of stocks to buy that are ready to take off in 2019. IDCC owns a global portfolio of wireless technology patents that it licenses to other manufacturers. I’ll be the first to admit that when it comes to the tech industry, I’m a relative beginner beyond the basics, so I won’t be giving you an in-depth examination why InterDigital’s wireless and video technology patents are the best in the industry. What I can say is that in the first nine months of 2018, IDCC had free cash flow (FCF) of $151 million, more than double the $71 million in FCF in 2017. In addition to the significant increase in free cash, InterDigital’s recurring revenue in Q3 2018 was $75 million, 11% higher than in the second quarter of 2018. On the bottom line, it had net income of $20.1 million, more than double its net income in Q2 2018. What’s exciting about InterDigital from a non-tech viewpoint is the company’s $29.73 in cash per share it has on its balance sheet. At current prices, IDCC is trading at just 2.3 times cash. With InterDigital yielding 2% and expecting good things from the move to 5G, IDCC stock is a good stock to buy to get some income in the short term and capital appreciation in the long term when some of its patents start to pay dividends from licensing, etc. This is definitely a company I want to get to know better. Louisiana-Pacific (NYSE:LPX) is a leading manufacturer of engineered-wood building products with 23 plants in the U.S., Canada, Chile, and Brazil. Like most manufacturers that rely on the housing industry, business is great when new homes are getting built and existing owners are renovating their homes to boost the potential sale price down the road. In times when the housing market hits the skids, like 2008, companies like Louisiana-Pacific go through a rough patch. Toward the end of 2018, cracks in the red-hot housing market started to reveal themselves, sending stocks of homebuilders for a big decline. That trickles down to the suppliers of the homebuilders like LP, which lost 13.4% in 2018, with much of it in the last three months of the year. That said, there’s nothing more valuable than a person’s home, making Louisiana-Pacific’s engineered wood an important commodity. Currently trading at 5.9 times cash flow, one-third the S&P 500, LPX is a value stock that with a 2.2% yield and an operating margin that’s better than it’s ever been. Sure, there’s a chance that the housing market will continue to slow, but there’s an equal possibility that demand keeps going higher. Besides, with $633 million or $4.40 a share in net cash on the balance sheet, this is a very stable stock to buy for 2019 and the long haul. 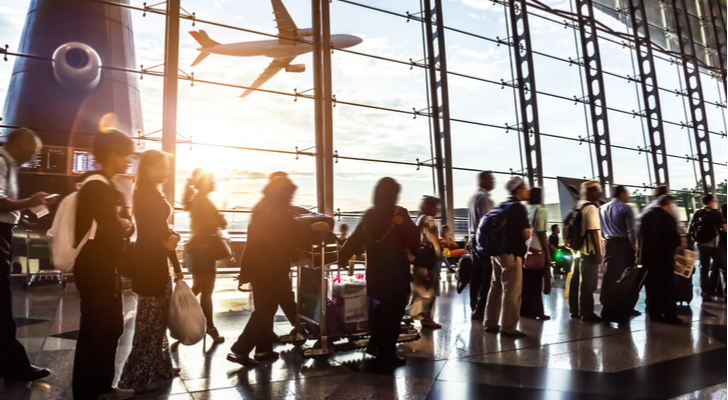 Article printed from InvestorPlace Media, https://investorplace.com/2019/01/7-stocks-to-buy-that-are-ready-for-takeoff/.